At 73, Eric Clapton is one of the most revered and respected names in music. Affectionately known as Slowhand to his friends and colleagues, Clapton embarked on a record setting 200 run residency at Royal Albert Hall for his 70th birthday that featured performances of his most iconic work to date, including his cover of the JJ Cale classic ‘Cocaine’. One of the best performances of his 50 year career, ‘Cocaine’ is a testament to the blood, sweat, and tears that have gone into making Eric Clapton one of the greatest to ever pick up a guitar. He took JJ Cale’s biggest hit and made it his own, giving it that uniquely Slowhand flavor that we’ve come to appreciate over the years, making for a career defining performance. 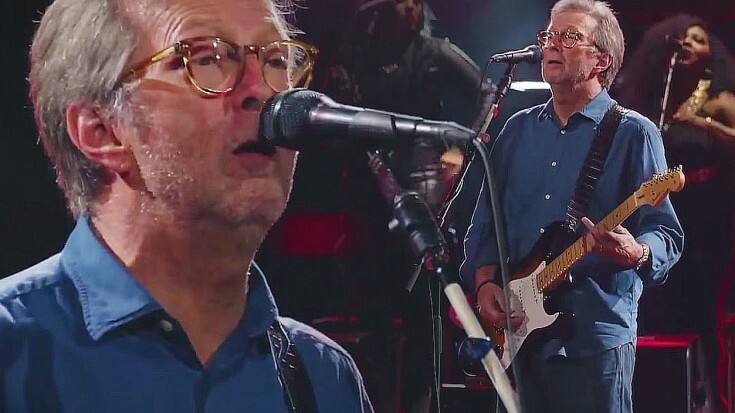 Fun Fact: This performance is featured on the upcoming concert film Eric Clapton: Live at the Royal Albert Hall—Slowhand at 70, showcasing Eric’s career defining run at Royal Albert Hall. Leave it to Eric to get a crowd of all ages dancing! There are parents and grandparents dancing in the aisles with their children and grandchildren, all fans of Clapton dating back to his days with The Yardbirds who have come to see the culmination of a once in a lifetime kind of talent. It’s safe to say that at 73, not only has Eric Clapton still got it, but he never lost it to begin with!